Visibility into your customers’ enterprise networks and security policy? Assessing your customers’ risk and compliance due to cluttered and bloated firewall rulesets? Understanding the rationale behind firewall rule changes? 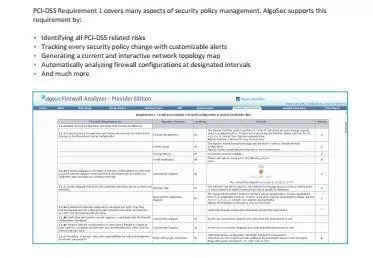 Used by all the “big four” auditing firms and numerous consultants, AlgoSec’s network security policy management solutions delivers visibility across your customers’ enterprise networks and simplifies and automates the firewall auditing process. 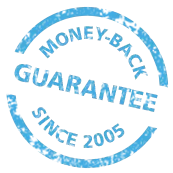 With AlgoSec auditors and consultants can quickly become experts in their customers’ environments and offer them additional value-add security policy management services. Get the inside scoop on what QSAs are looking for when they audit you. 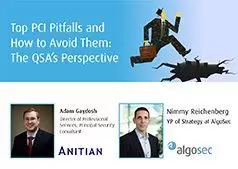 Aimed at security and networking professionals, this webinar will provide insider tips and tricks to help you prepare for and pass your PCI audit.